Lamp: circa 9.5 cm x 18 cm high. 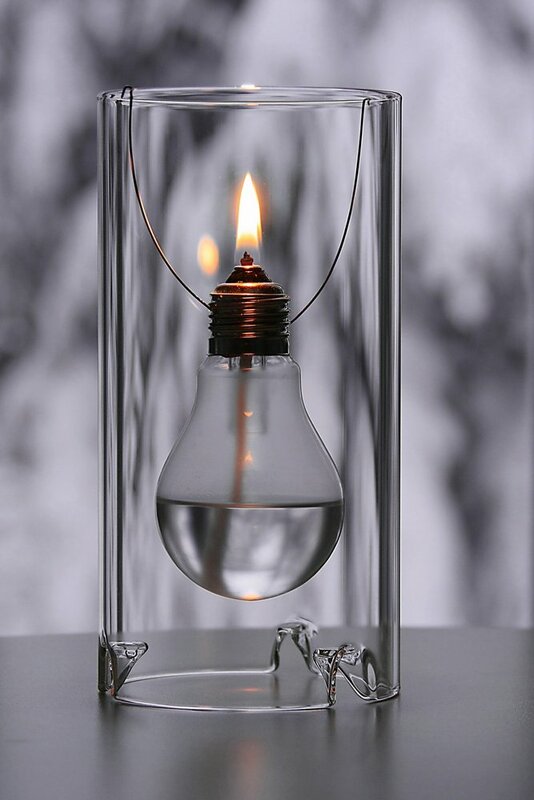 Borosilicate glass, long-life wick, funnel The light bulb is specially produced with frosted glass, with stainless steel socket. Filled with oil the frosted glass will turn clear. The bigger versions are in borosilicate glass ? a very high-grade and heat-resistant glass without bubbles and streams inside for a perfect quality.